It’s the most wonderful time of the year! Christmas is almost upon us and as we count down to 25th December, it’s time to start thinking of what to get for our loved ones. Are you someone who goes all-out on big treats or do you pop some special gifts in a stocking? Research in 2016 showed that the small stocking fillers of the past have become a lot more technologically advanced, and pricier to boot. With even more tech to choose from in 2018, stockings are likely to be filled with even more gadgets and devices for children. 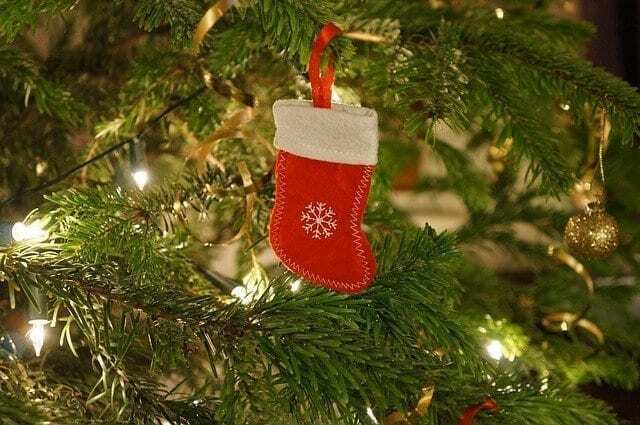 But where did the Christmas stocking come from and how have stocking filler gifts evolved over the decades? There are various legends about where the Christmas stocking first originated, however one of the main tales involves Saint Nicholas helping a poor man and his three daughters. The man was too poor to pay for his daughters’ weddings and too proud to accept any donations of cash. Saint Nick threw bags filled with gold through a window. The gold landed in some stockings and when the family awoke, they were happy to find that their fortunes had changed. Stories such as these are thought to be the beginnings of children hanging stockings in the hope that Saint Nicholas will put some gifts in there for them at Christmastime. The gold coins of the Saint Nicholas tale soon became three gold balls, and this is how oranges or tangerines came to be placed in stockings. Over time, these gifts and the stockings themselves have changed dramatically. Simple socks were exchanged for custom-made Christmas stockings and they were soon filled with a combination of practical and thoughtful treats. During the Victorian era, when the Christmas we know today first came into being, stockings were the main present and filled with fruit, nuts and sweets. Pennies would also be included and a lump of coal for luck. Richer families would also add an extra toy, such as a doll, to the stocking. By the Second World War, rationing and the lack of supplies meant Christmas was a very sparse time, with stockings filled with rationed food and homemade gifts. In the years that followed, we became more indulgent. Stockings went from being filled with fruits and sweets to being stuffed with computer games and talking dolls. Nowadays, the stocking is an additional treat. However, while we’re adding increasingly expensive gifts to the giant sock, we’re also including little tokens of our affection, too. While the larger gifts have the wow factor, the more wallet-friendly ones can often be the most magical.